Slow Cooker Creamy Pumpkin Soup from Cafe Johnsonia is for savory pumpkin soup fans, because Lindsey says she thinks some pumpkin soup recipes are too sweet. This Slow Cooker Creamy Pumpkin Soup is loaded with just enough spicy flavor! Click to see The BEST Sweet and Savory Instant Pot Pumpkin Recipes! Click here to see The Top 20 Recipes for Slow Cooker Pumpkin Chili! 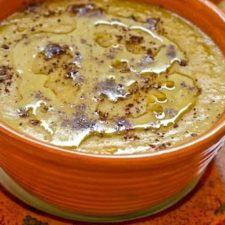 For Friday Favorites we feature past recipes you may have missed, and I think this not-too-sweet Slow Cooker Creamy Pumpkin Soup from Cafe Johnsonia sounds amazing. I don’t think I’m the only person who likes pumpkin, but isn’t crazy about overly sweet pumpkin dishes. 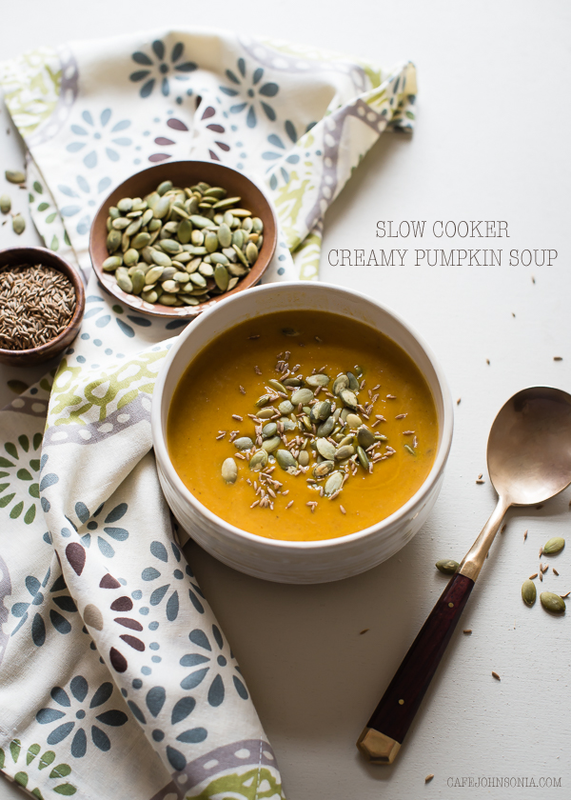 That’s why this particular Slow Cooker Creamy Pumpkin Soup caught my eye. This pumpkin soup just has the tiniest bit of maple syrup, with lots of interesting spices and coconut milk to add to the flavor and creamy texture of the soup. This can cook all day when you’re at work, and I bet your house will smell amazing when you walk in the door! Get complete instructions for Slow Cooker Creamy Pumpkin Soup from Cafe Johnsonia. Use the Index Page for Soup or Stew to see all the slow cooker or pressure cooker soups that have been featured on this site. I'm with you — pumpkin often gets paired with brown sugar, or honey, or loads of maple syrup, or marshmallows, and it's too sweet for me. This soup looks great, with just a touch of sweet and a touch of spicy! Thanks Lydia, I love the sound of this!